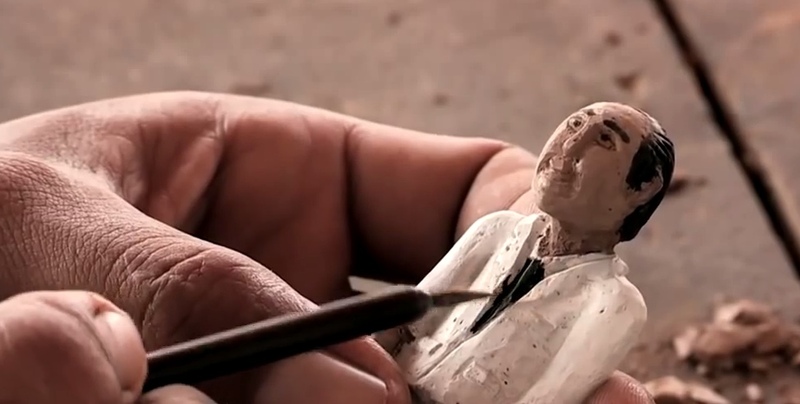 Panh creates his sculptures for The Missing Picture. Long Beach and Cambodia are sharing simultaneous firsts this weekend with Cambodian filmmaker Rithy Panh’s The Missing Picture: the movie marks the first-ever Academy Award nomination for any film out of Cambodia and its showing at the Art Theatre starting this Friday marks the first ever U.S. premiere of a major film in Long Beach. The premiere of a Cambodian-made film of such cultural and critical significance is something that many local leaders feel marks a specific step forward in solidifying Long Beach’s large Cambodian community’s presence as a cultural force. The Missing Picture—part artistic essay in stop-motion animation, part documentary—explores Cambodia’s Khmer Rouge genocide through Panh’s personal journey. The Art Theatre and the Cambodia Town Film Festival (CTFF) committee worked diligently to convince Panh that Long Beach superseded more common premiere cities such as New York and Los Angeles. The film—which already won the Prix Un Certain Regard at Cannes last year—will vie for the Best Foreign Language Film on March 2, where Panh will represent Cambodia at the Academy Awards. His presence represents growing exposure for Cambodian filmmakers, one that began last year with the inaugural Cambodia Town Film Festival, which was held over two days at the Art Theatre. The Missing Picture will have its US premiere this Friday at the Art Theatre, located at 2025 E 4th Street. For information and tickets, visit www.arttheatrelongbeach.com.